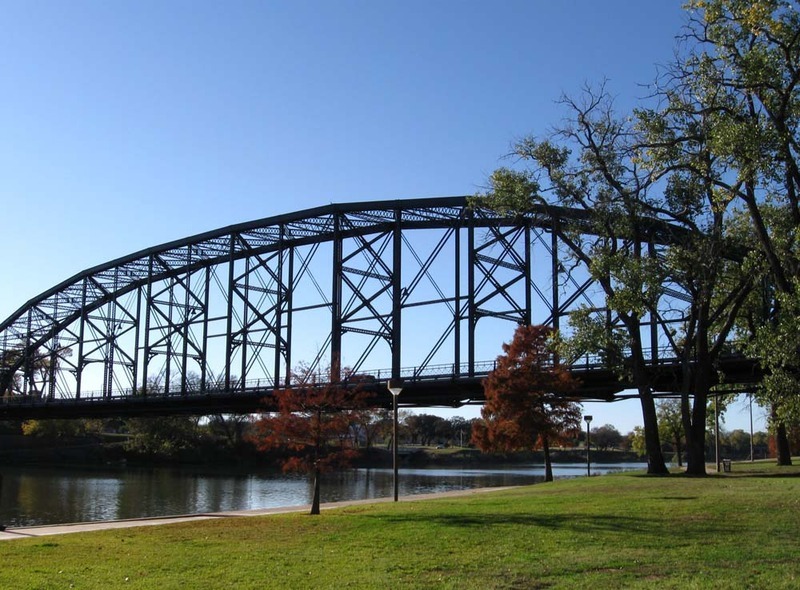 The Washington Avenue Bridge is a steel, Pennsylvania through truss bridge that spans the Brazos River and connects East Waco to downtown. Before the construction of the Washington Avenue Bridge, the Waco Suspension Bridge, built in 1870, offered the only reliable way for individuals to cross the river. However, by 1900 Waco was a booming city, and another bridge was necessary to lighten the load on the thirty-year old structure. Construction on the Washington Avenue Bridge began in 1901 and was completed in 1902, with John Wharton Maxey of Houston as the lead architect, and John H. Sparks from St. Joseph, Missouri, as the contracting engineer. Once the bridge was completed in July of 1902, it was tested by sending five vehicles from the city fire department, including engines, hose carts, and wagons, across at varying speeds. At one point they went as fast as if they were traveling to an actual fire. The bridge passed this test and was opened soon after that. At the time, the Washington Avenue Bridge was the sixteenth longest bridge of its type in the United States and the longest Pennsylvania through truss in Texas and the rest of the Southwest. The bridge was first repaired in 2004 to fix cracks that were found in some of the tension rods. It then underwent a renovation that lasted from 2009 to 2010. During this renovation other cracked parts were repaired and missing pieces were replaced with similar materials. 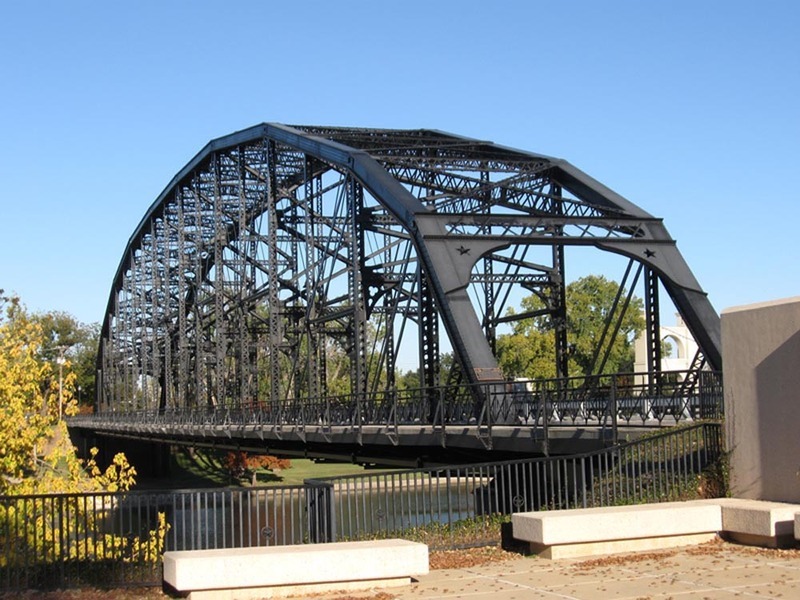 In addition, the bridge was painted black, which a paint analysis had revealed to be its original color. The restoration work replaced less than 5 percent of the original material, and in 2011, the Texas Department of Transportation received an award for Excellence in Restoration of a Structure from the Historic Landmark Preservation Commission of Waco. 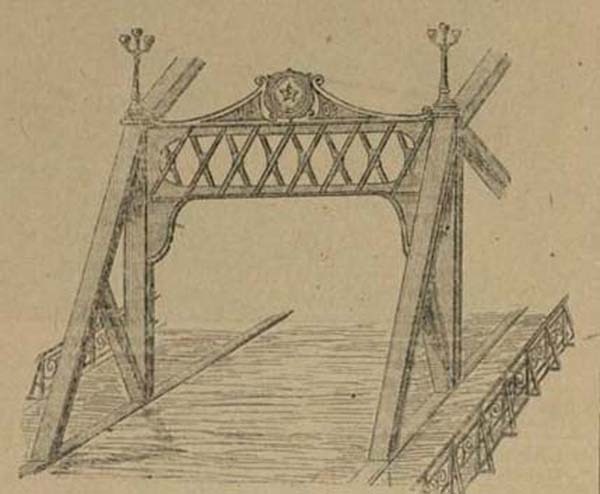 Today, the Washington Avenue Bridge is still traveled by vehicles and pedestrians, which makes it the oldest and longest Pennsylvania through truss still in use in the United States. Kathleen Young, “Washington Avenue Bridge,” Waco History, accessed April 19, 2019, https://wacohistory.org/items/show/65. Conger, Roger Norman. 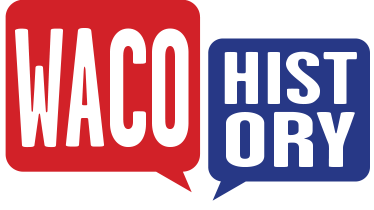 Highlights of Waco History. Waco: Hill Print and Stationary Co., 1945.